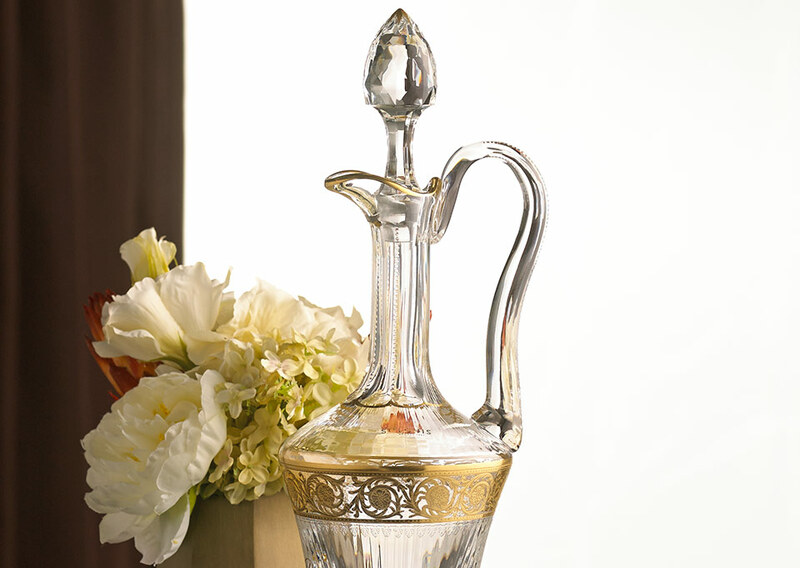 Transform everyday rituals into unforgettable moments with luxurious home décor. 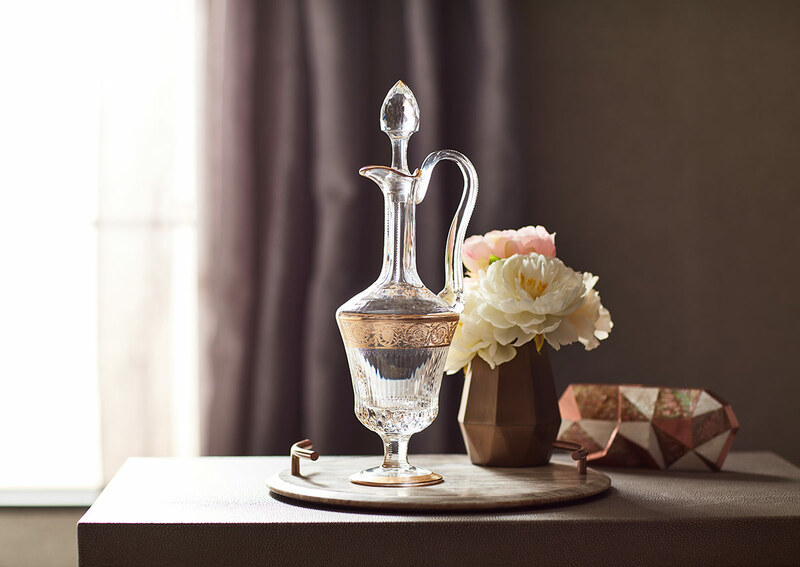 Add a luxurious touch to toasts with this hand-crafted crystal glass wine decanter curated for Sofitel by Marisa Berenson. 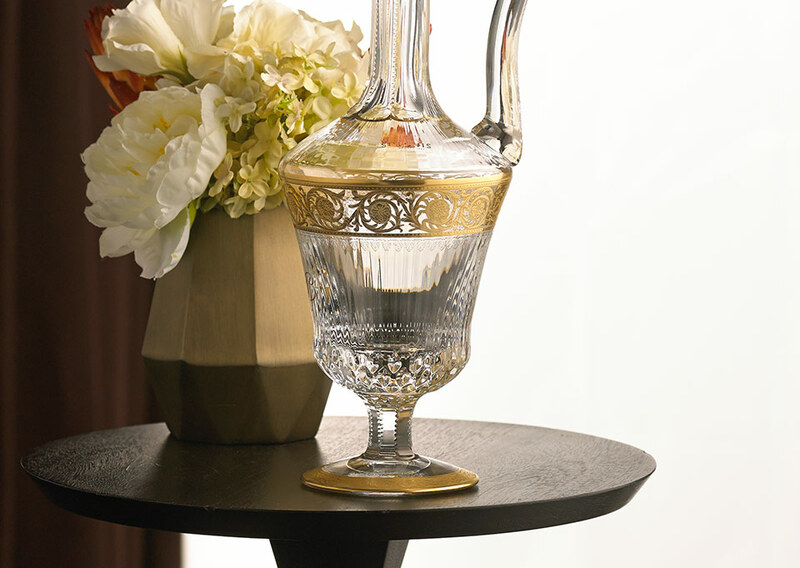 The gold-handled ewer is engraved and decorated with 24-carat gold, and captures the spirit of French art de vivre.